Where are your patrons? Checking out books at the self-checkout station! Thanks to our partnerships with selected self-checkout vendors, you can expand your readers' advisory reach beyond the reference desk -- to every single person who checks out their own books. As patrons check out their books on a self-checkout machine, "Recommended Reads" from NoveList appear on the screen. Patrons can place a recommended title on hold, print details, or email themselves information. 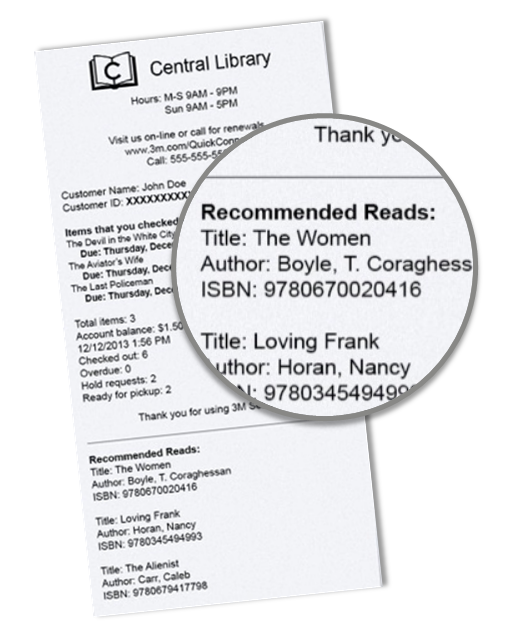 Adding recommendations to your checkout stations reinforces the library as a book discovery service. Now you can reach those "drive-by readers" who are in the library for the time it takes to check out their hold books. Recommendations in self-checkout stations encourages readers to return to the library for more, increasing library circulation and usage. 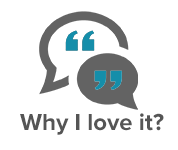 "Setting up reading recommendations was easy. It's simple to manage and we could immediately see an increase in our NoveList statistics. Patrons are being exposed to many more recommendations each time they check out."